Waiting for notices about Italian participation, the Wind Summer Festival 2018 has just been held with several Eurovision stars attending. The festival found the "Song of the Summer 2018"
This year the sixth edition of the Summer Festival chose the Song of the Summer 2018. Wind Summer Festival 2018 took place in Piazza del Popolo in Rome from 22 to 25 June, while the final was held in the Area Expo, Parco Mind of Milano on 16 September 2018. 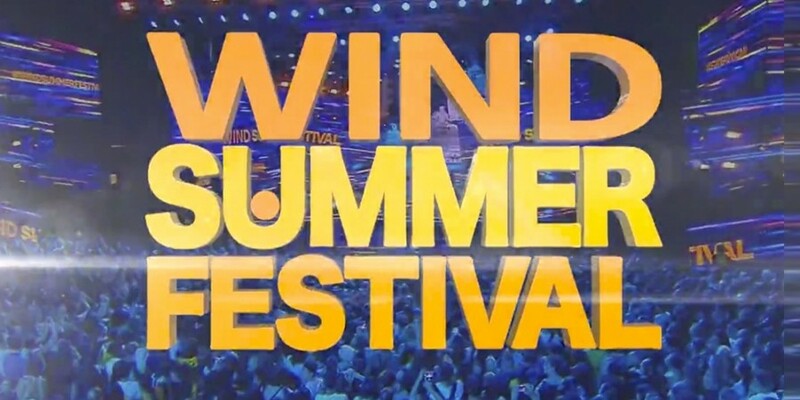 The hosts of Wind Summer Festival 2018 were three notable faces of Italian television: Ilary Blasi, known TV presenter and wife of the famous soccer player Francesco Totti; Rudy Zerbi, radio and TV presenter and record producer; Daniele Battaglia, singer and radio/TV presenter. Ermal Meta: Participant at Eurovision Song Contest 2018 in Lisbon singing Non mi avete fatto niente with Fabrizio Moro, Ermal Meta participated at the Summer Festival 2018 together with Fabrizio Moro and their Eurovision song "Non mi avete fatto niente", but also with other two songs: "Dall'alba al tramonto" and "Io mi innamoro ancora". All songs are included in his new album "Non abbiamo armi". Ermal Meta - "Io mi innamoro ancora"
Fabrizio Moro: Participant at Eurovision Song Contest 2018 and Summer Festival 2018 with the aforementioned Ermal Meta, also brought a new song to the Summer Festival: "L'eternità (il mio quartiere)", which makes part of his album "Parole rumori e anni". Francesca Michielin: Represented Italy at Eurovision 2016 with "No degree of separation". She presented her new song "Tropicale" and "Fotografia", singing with Carl Brave. "Tropicale" is included in her album "2640". Emma Marrone: Italian representative at ESC 2014 in Copenhagen with "La Mia Città", she sang "Mi parli piano", avalaible on her album "Essere qui". Emma - "Mi Parli Piano"
Nina Zilli: Italian entry at ESC 2012 in Baku with "L'Amore È Femmina (Out Of Love)", she sang "Ti amo Mi uccidi" during the festival. "Ti amo Mi uccidi" is also available on her new album "Modern Art". The price Wind Summer Festival is given from Earone to the song with the highest points in the radio airplay. ...12 points go to... Takagi & Ketra ft Giusy Ferreri with "Amore e capoeira"!